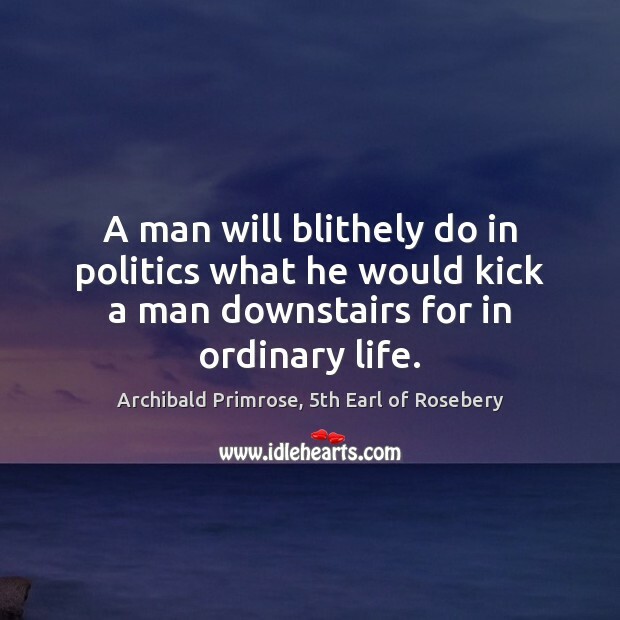 Enjoy the best inspirational, motivational, positive, funny and famous quotes by Archibald Primrose, 5th Earl of Rosebery. Use words and picture quotations to push forward and inspire you keep going in life! 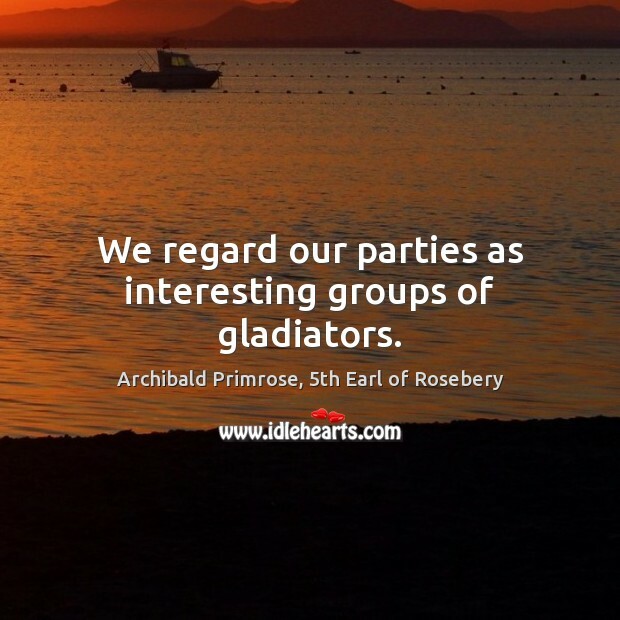 We regard our parties as interesting groups of gladiators. 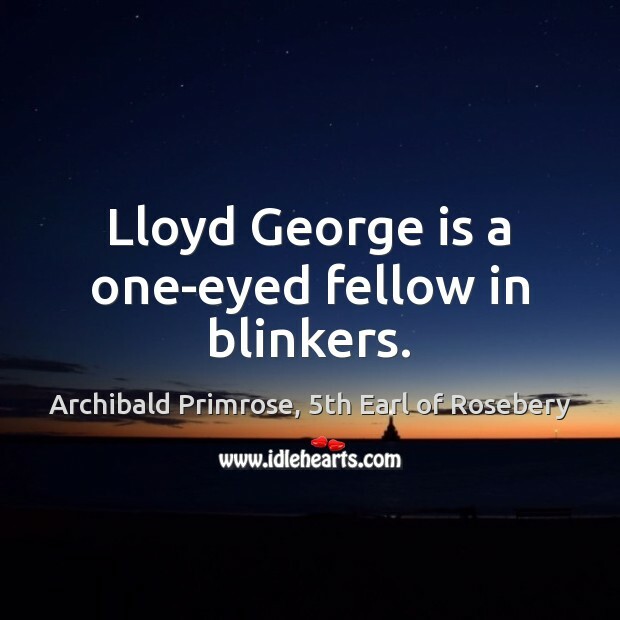 Lloyd George is a one-eyed fellow in blinkers. 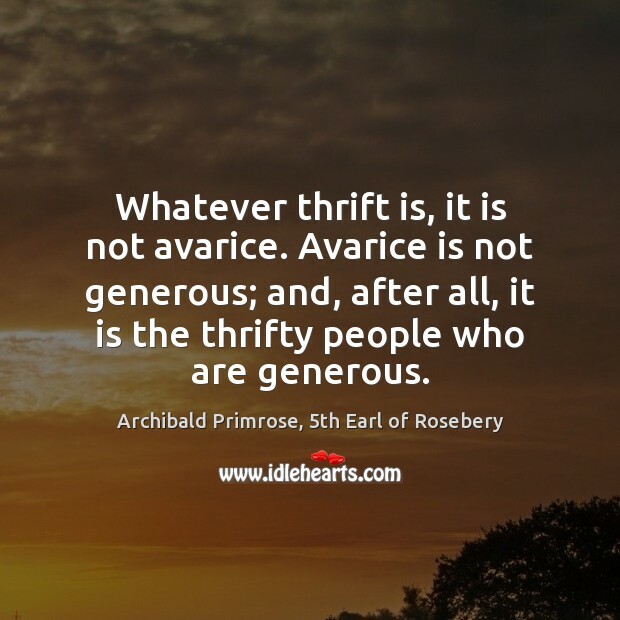 Whatever thrift is, it is not avarice. Avarice is not generous; and, after all, it is the thrifty people who are generous. 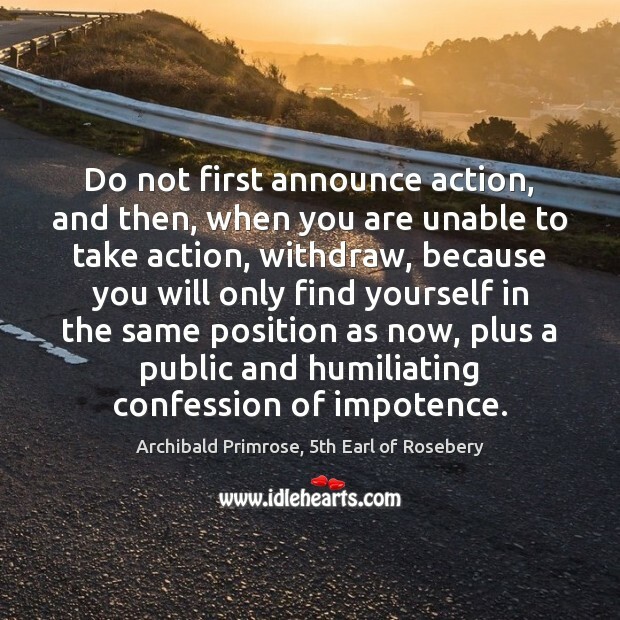 Do not first announce action, and then, when you are unable to take action, withdraw, because you will only find yourself in the same position as now, plus a public and humiliating confession of impotence. 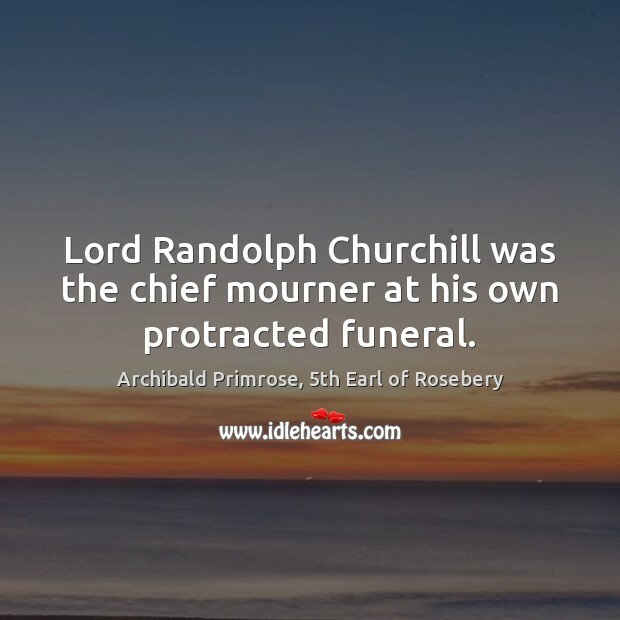 Lord Randolph Churchill was the chief mourner at his own protracted funeral. A man will blithely do in politics what he would kick a man downstairs for in ordinary life. How marvelous it all is! 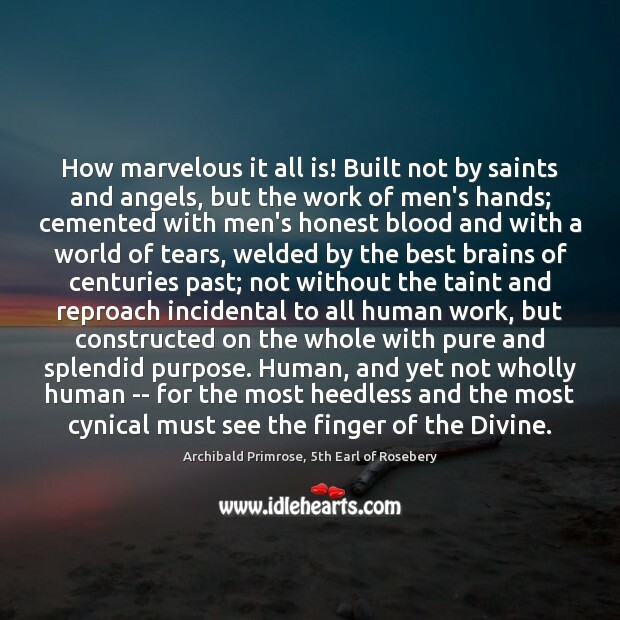 Built not by saints and angels, but the work of men's hands; cemented with men's honest blood and with a world of tears, welded by the best brains of centuries past; not without the taint and reproach incidental to all human work, but constructed on the whole with pure and splendid purpose. Human, and yet not wholly human -- for the most heedless and the most cynical must see the finger of the Divine. 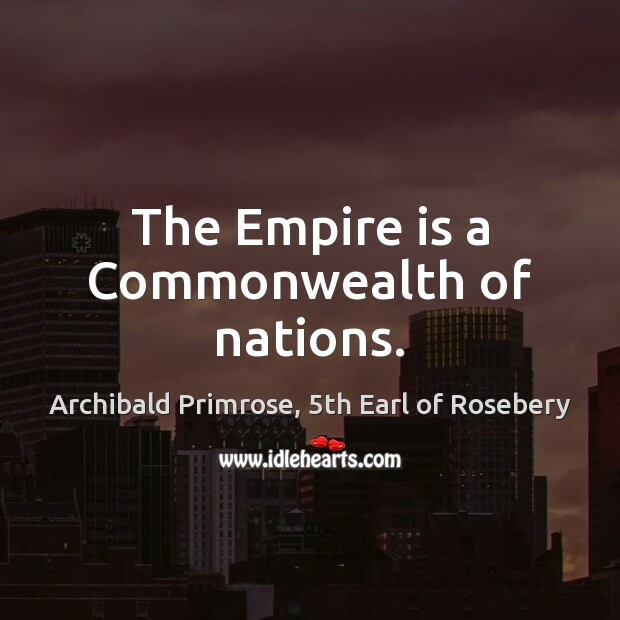 The Empire is a Commonwealth of nations.